Hi just making this quick post to advertise my comic set in the middle ages. for the past few months, I have been working on this comic along with my father that created it and gave the bones for the script. 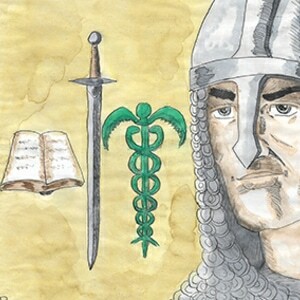 so please check out Chevalier, The life and times of Gerard DeNueville knight, scholar, traveler, lover.